Becky and Melanie thought it would be great fun to team up for a little Holiday Hop today. We are showcasing Becky’s new set, “Warm Woolen Mittens” along with Becky’s new cut file “Grand Banners” and “Grand Banners – Winter Sentiments” and Melanie’s newest set, “Lots of Letters” as well as some of her other recent favorites. For my card I stamped one of the patterns from Pretty Patterns in VersaMark ink on a 3″ x 5″ piece of Neenah Solar cardstock. It was embossed with clear embossing powder and stars were cut and embossed out of the lower half with the two smallest dies from the Star Nestabilities set. I had seen Jennifer McGuire create a card with this technique and had wanted to try that out ever since. The bottom left corner was rounded before the background was sponged first with Teal Zeal, then with Nautical Blue Memento Ink. The stars were sponged with London Fog Memento Ink while the dies were still on the cardstock. The card base is a piece of 3 3/4″ x 11″ piece of Neenah Solar White cardstock folded in half. Again the bottom left corner was rounded. The background and the stars were adhered to the card base with adhesive foam squares. 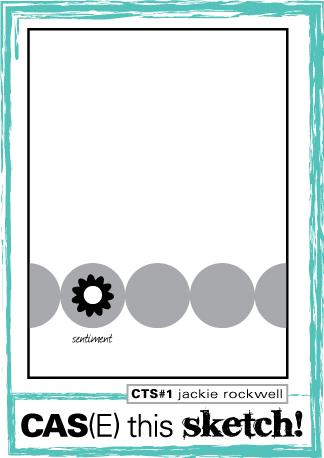 A 1/4″ x 5″ silver glimmer paper (Stampin’ Up!) strip was adhered to the right hand side of the background. A small star was cut out the same paper. The word happy is from the stamp set Inspiration Mosaic. It was stamped in Tuxedo Black Memento Ink on a strip of white cardstock. 2013 was stamped behind it with numbers from the new Lots of Letters set. The sentiment was cut out with a Pennant die. The glitter star was adhered to the left of the sentiment and both were adhered to the upper half of the card. Part of a Finesse Rhinestone swirl finish off the card. Make sure you visit everyone’s blog to leave a comment and be entered to win a clear “I do!” and “Beyond Baskets” stamp set! A winner will be announced Thursday. I recently got the new Simon Says Stamp December card kit in the mail and couldn’t wait to play with it. I had missed the deadline of the latest CAS(E) this sketch, but I wanted to create a card with it anyway. 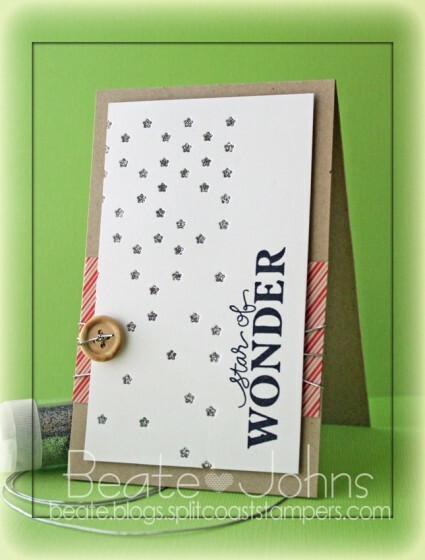 It definitely works for the current Simon Says Stamp Challenge, because the current one is anything goes! You could win a $50 shopping spree if you enter!!! And with me being broke because I ordered a new camera, 2 lenses, wireless memory card and kids presents on Black Friday, that would be wonderful! I started by cutting the right side of a 3″ x 5″ piece of white cardstock (from kit) with the Simon Says Falling Stars die. Packing tape was adhered behind the stars and Sterling Glitter was rubbed over it. A sentiment from Merry Everything stamp set (included in kit) was stamped in Tuxedo Black Memento Ink on the right side of the cardstock piece. The card base is a 3 1/2″ x 11″ piece of Neenah Desert Storm cardstock (included in kit) folded in half. A 2″ x 3 1/2″ piece of Pink Paislee Sidewalk patterned paper (included in kit) was taped to the lower half of the card base and silver cord was tied around the card base. A wooden button (included in the kit) was adhered to the left hand side of the white layer to finish off the card. Thanks so much for stopping by! Have a wonderful day! I know mine will be! My new camera is scheduled to arrive today!!! 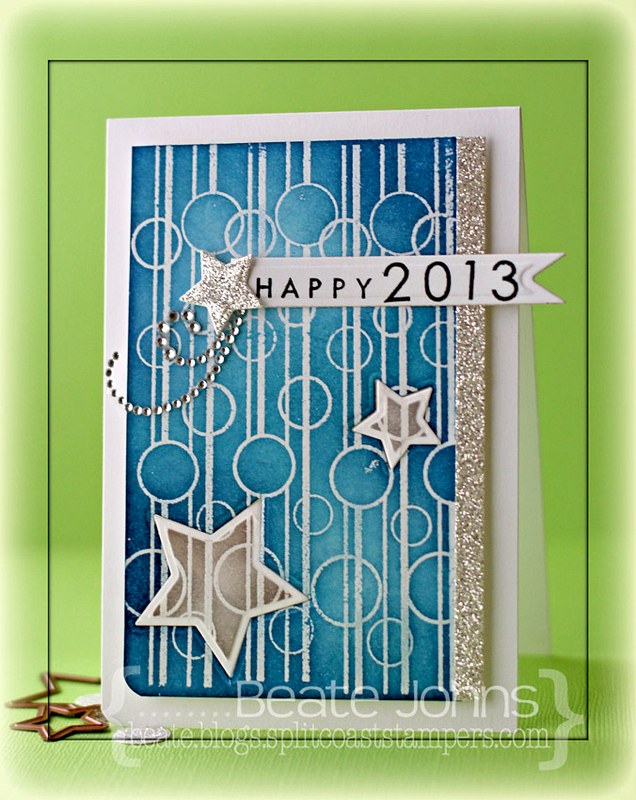 I created this card for the wonderful Bev Rousch’s Hope You Can Cling to Challenge “Shine It Out!” back in October. I was cyber stamping with Tami Mayberry a little while ago and we created cards fro the same challenges. I thought it was only right to use one of her stamp sets for my sample. 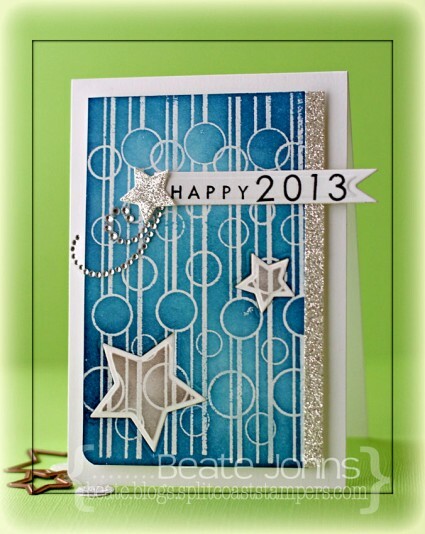 Just before that, I had found a new challenge blog with a wonderful sketch and I wanted to use that for my card. My card base is very basic, a 4 1/4″ x 11″ piece of Neenah Solar White cardstock, folded in half. The bottom corners were rounded. I started by inking the heart from Hopeful Hearts first with Versamark ink, then with Memento’s Rosebud ink. It was then embossed with iridescent Ice Embossing powder to add sparkle. Next I stamped the solid circle from GKD Inspiration Mosaic in Pear Tart Memento Ink 3 1/2 times on the left and once on the right of the heart. 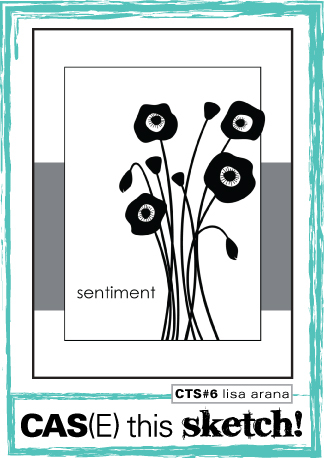 A sentiment from Hopeful Hearts was stamped over the circles on the left in Jet Black Archival ink. I scored one line under the shapes and two lines above. Beautiful Bling Border – Beautiful Bloom was added above the top score line. 5 Rhinestones from a Sleek Strips Silver Rhinestones were adhered to the bottom right and one above an i in the sentiment to finish off the card. Hello and welcome to Day one of Whimsy Stamps November Rubber & Die Release Showcase! First of all I want to wish all my American readers a Happy Thanksgiving. I hope you have a wonderful day with your family. Let me just tell you how thankful I am for all my readers. It still boggles my mind that so many of you subscribe to my blog. I am extremely thankful for all of you and LOVE it when you let me know what you think about my creations. On Wednesday (21 November) Whimsy Stamps released this month’s new rubber designs, Shapeology dies, Whimsy Designer Paper packs, Shape EZ templates and *new* Whimsy Prints pre-coloured toppers. From then until 27 November the Whimsy Stamps DT and Special Guests are showcasing these fabulous new goodies with a daily mini blog hop and I am part of today’s hop! To be entered into today’s mini blog hop prize draw, be sure to leave a comment on ALL of the DT’s posts listed below by 12.00PM EST tomorrow. All winners will be announced on the Whimsy blog on 28 November. For my card today I used Crissy’s darling new Snow Fairy Princess. It was stamped inTuxedo Black Memento Ink on Neenah Solar White cardstock that had been cut and embossed with the smallest Spellbinders™ Grand Circles Nestabilities®. The image was colored with Copic Markers (Dress: BG11, BG13, BG15, BG18, N0, N1, N3 Wings: BG10, BG11, BV0000, BV000 Skin: E97, E99, E09, E18 Skin: E50, E21, E34), masked and sponged first with London Fog, then a bit with Toffee Crunch Memento inks. The edges of the circle were inked with VersaMark ink, sprinkled with Sticky Embossing Powder, heated and Martha Stewart Sterling Glitter was added over it. Little dots were added with a white gel pen. Subtle sparkle was added with a clear spica pen, more sparkle was added to the wings with Frost Smooch Glitz. A sentiment from the new Snowflake Mini Letter Seals was stamped in Turquoise Gem VersaMagic Ink on white cardstock and embossed with iridescent ice embossing powder and cut and embossed with a Standard Circle die. It was adhered to the image layer with foam adhesive squares. The card base was created as a Twisted Easel card, cut and embossed out of Neenah Solar White cardstock with the smallest of the Grand Decorative Circle Nestabilities dies. A piece of Whimsy Winter Blues Patterned Paper was cut with the smallest Grand Circle Nestabilities die, the edges were sanded and adhered to the inside of the card. 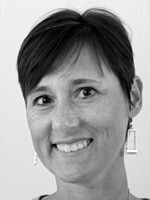 Solar White cardstock was cut and embossed with the three smallest Create-a-Flake Four Shapeabilities® dies. The snowflake pieces were covered with the Emboss It Dabber. Sticky embossing powder was added, heated and the snowflakes were covered with Sterling Glitter. They were stacked together with foam adhesive squares and topped with a Queen & Co Twinkle Goosebumps. The sparkly snowflake was adhered to the bottom of the inside of the card. Part of a Finesse Rhinestone Swirl was adhered to the snowflake. Rhinestones from a Sleek Strip Silver Rhinestone were added to the card front to finish off the card. Thank you so much for stopping by! Have a wonderful Thanksgiving day!